The three told their stories at a forum on Dec. 4 on Capitol Hill to highlight the deteriorating human rights situation in China, just before Human Rights Day on Dec. 10, which marks the 70th anniversary of the Universal Declaration of Human Rights. 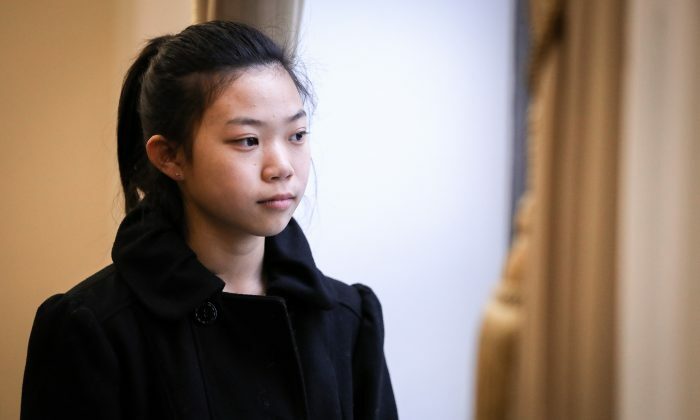 Seventeen-year-old Xu Xinyang grew up during the persecution of the spiritual discipline Falun Gong, which began in 1999, before she was born. “In my memory, most of my childhood was spent in fear and horror,” she said. Falun Gong, also known as Falun Dafa, is a spiritual discipline based on the tenets of truthfulness, compassion, and tolerance. In July 1999, then-Chinese Communist Party leader Jiang Zemin ordered a campaign to eradicate Falun Gong. Jiang feared how popular the practice had become and the appeal of its traditional moral teachings to the Chinese people. In February 2001, both her parents were arrested for printing materials to expose the persecution of Falun Gong. At that time, her mother was pregnant with Xu and was exempted from prison. But her mother was arrested again when she was four months into her pregnancy and nearly tortured to death. Meanwhile, her father was given an eight-year sentence. “My dad was transferred within four prisons for continued persecution because he did not give up his beliefs. In my memory, I saw my dad for the first time in prison when I was 7 years old,” Xu told the audience at the forum. Xu couldn’t go on at this point, and audience members started weeping. Her father died only 13 days after he was released to return home following his eight-year sentence. At that time, Xu was only 8 and still dared not approach her father, as he was still a “stranger” to her. 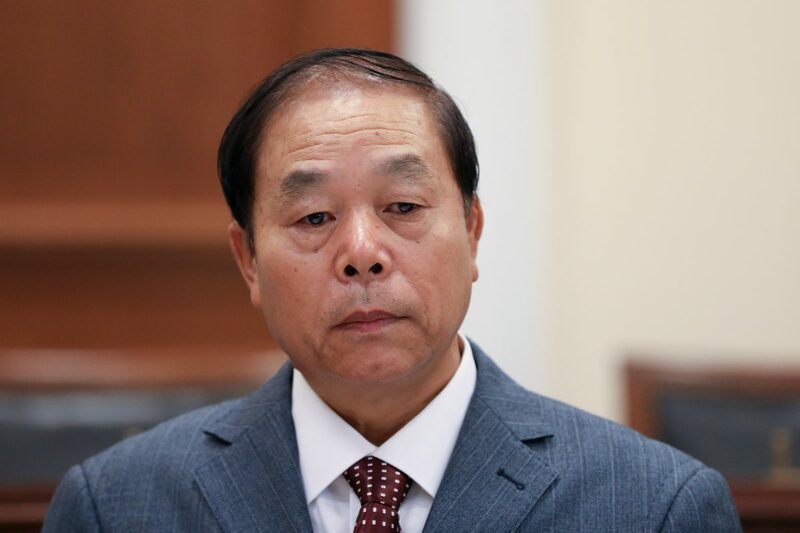 Within 100 days, Xu’s uncle, grandfather, and grandmother all passed away, either directly because of the persecution, or because they couldn’t bear the pain of losing family members. Eight-year-old Xu lost not only four family members, but also her right to attend school. “I was forced to transfer to three different schools when I was in the third grade of elementary school,” she said. She found some peace and happiness in her fourth school, as the principal and most teachers at this school were Falun Gong practitioners. Her teacher even promised to give her a gift on her birthday. But she didn’t get her gift, as all the teachers were arrested on her birthday. She managed to escape with some classmates. However, many students weren’t so lucky and were taken away by the police. One boy was interrogated for a long time and wasn’t allowed to sleep for four nights in a row. The police tried to extort information from him regarding who the teachers had contacted, and so on. The boy was so terrified that he collapsed and died soon after he was released back home. After that, Xu also was wanted by the police. She had no school to go to and had to wander around in the country with her mother. The two eventually escaped to Thailand when Xu was 12. After being granted refugee status by the U.N., they were able to come to the United States last year. Yang Chunhua from Liaoning Province in China once had a happy family of four: her parents, her sister, and herself. Everyone except her father practiced Falun Gong. In January 2001, her mother, Dong Baoxin, was detained in Liaoning Reeducation Center. Dong suffered many kinds of torture there, and died in October 2004. 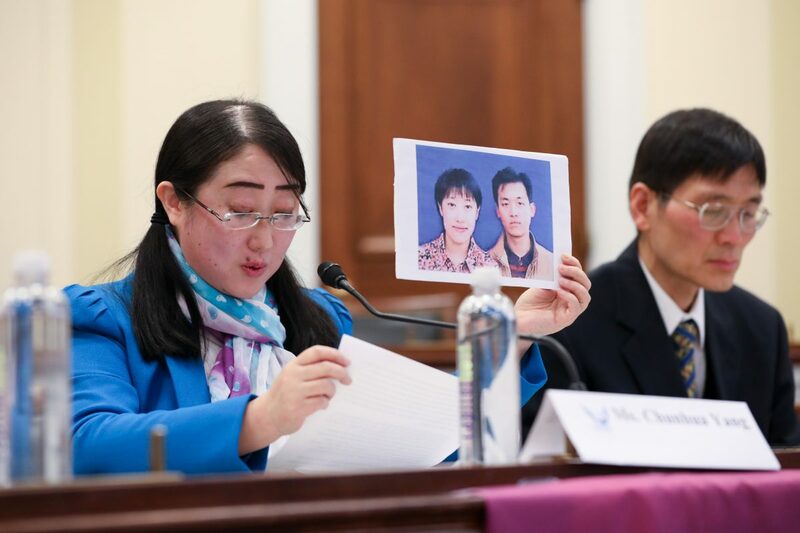 Her sister, Yang Chunling, was arrested for the first time in April 2002 and again in 2005. After suffering severe torture in the notorious Masanjia Forced Labor Camp for two years and five months and then in Liaoning Province Women’s Prison for seven years, she died in 2014. Because of these blows, Yang’s father also passed away, leaving Yang alone. Liu Xitong, a well-known calligraphy artist in China, was detained and persecuted more than 20 times, including three years in labor camps and four years in prison. While he was in prison, criminals were encouraged to torture him. 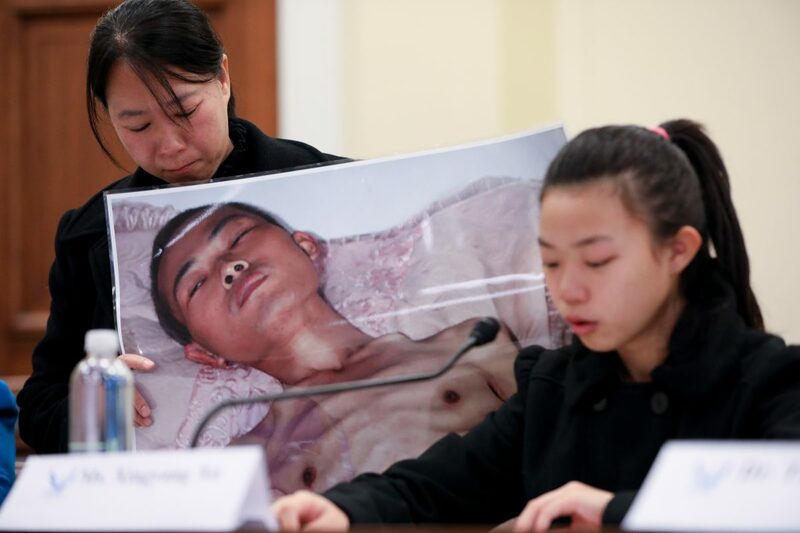 Liu’s wife was disabled after being tortured in prison for one year. His two daughters were arbitrarily arrested four times, and his mother died while he was in prison. Liu only managed to come to the United States in June this year. Senators: What Is the US Government Doing? 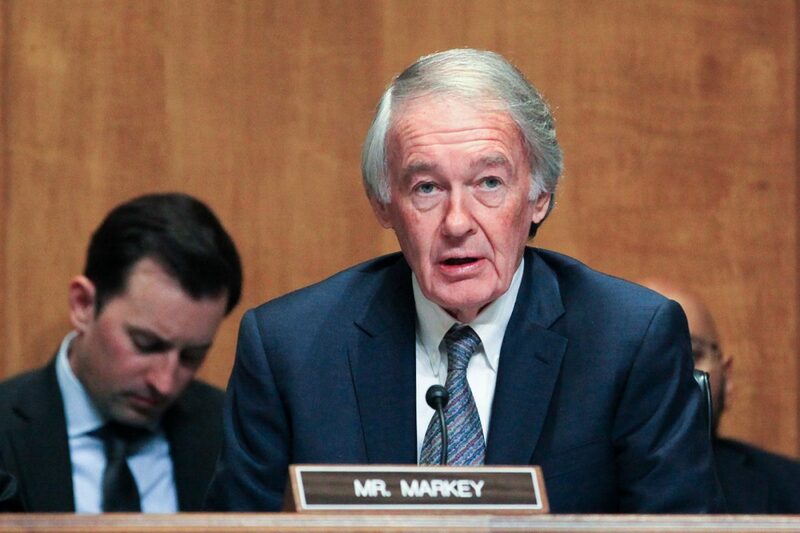 At a Senate hearing on “The China Challenge” on Dec. 4, Senators Cory Gardner (R-Colo.), Tim Kaine (D-Va.), Edward J. Markey (D-Mass. ), and Marco Rubio (R-Fla.) all sharply questioned two witnesses from the Department of State about what the U.S. government has been doing to tackle the deteriorating human rights situation in China, and whether human rights had been mentioned when President Donald Trump met Chinese leader Xi Jinping in Buenos Aires, Argentina, earlier this month.